The Duchy of Lancaster has agreed to release 2.2 hectares of land for the building of a new free school at Rushden on its historic Higham Ferrers estate. Built by the Department for Education and to be run by Friars Academy Trust, this specially designed secondary school will offer places to 145 students with special education needs. 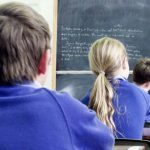 Places will be offered to 11 to 19 year olds with moderate to severe learning difficulties, including students with autism and those with an education health and care plan naming the school. Admissions will be coordinated via Northampton County Council’s Education, Health and Care team. 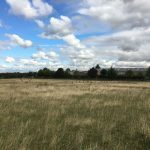 Due for completion in 2020, the project includes the construction of a new single-storey school building on a greenfield site to the east of the A6 previously used for grazing. The site also borders the eastern boundary of Moulton College and the project plans include the redevelopment of the surrounding area, including an increased provision of sports facilities for community use. Construction is expected to start on site in late summer 2019.